Jihad Watch : CAIR is an unindicted co-conspirator in a Hamas terror funding case — so named by the Justice Department. CAIR officials have repeatedly refused to denounce Hamas and Hizballah as terrorist groups. CAIR chapters frequently distribute pamphlets telling Muslims not to cooperate with law enforcement. CAIR has opposed virtually every anti-terror measure that has been proposed or implemented and has been declared a terror organization by the United Arab Emirates. Ayloush himself in 2017 called for the overthrow of the U.S. government. But fundraising with Hamas-linked CAIR is not career suicide for Ilhan Omar, although if a conservative candidate appeared with an analogous group as unsavory as CAIR, it would be. 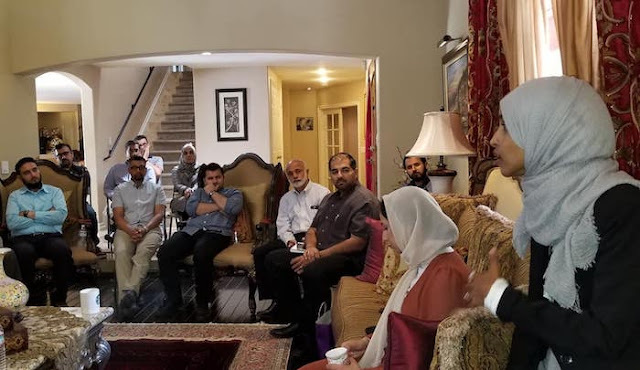 Omar is vying to succeed Keith Ellison, who has never shied away from CAIR, and never suffered any political fallout for his connections to the organization. CAIR raised large amounts of for Ellison’s first campaign, and he has spoken at numerous CAIR events. This is an indication of how topsy-turvy our political discourse is today.